When you have a shipment either to go to Turkey, or to come from Turkey to the UK, it is important to appoint a reputable freight forwarder. Mercator can not only handle the whole process for you, but also advise on documentation, routing and even get you a better deal than if you were to go direct to a carrier. Mercator has been handling freight shipments between Turkey and the UK for many years, as such we have built up good contacts and a tried and tested supply chain. So when you need to choose a freight forwarder to handle your Turkey shipping, look no further than Mercator. The greatest trade lane between the UK and Turkey is the exporting of UK manufactured goods and machines. Shipping to Turkey has become a very popular route and as such Mercator handles cargo to Turkey regularly. We have special rates agreed with carriers and a smooth service once your cargo arrives in Turkey. Mercator can handle all cargo sizes when it comes to shipping to Turkey. From single pallets in a shared container through to full container loads and even out of gauge cargo (particularly common when arranging the shipment of machinery). We have a large partner agent in Turkey who can handle the customs clearance, landing and delivery in Turkey for all shipments that Mercator arranges. Mercator has worked with this particular partner agent now for over 10 years. Our shipping services to Turkey (particularly once the cargo has reached Turkey – which is tricky without a reputable agent at destination) as such are extremely reliable and effective. Once your shipment has arrived in Turkey, our partner agent will take responsibility of your cargo, ensuring that it is cleared through customs swiftly and either made available for pickup or onward delivery is arranged on your behalf. Mercator can assist you with any export documents you will require in order to ship your goods to Turkey. We can also help with any restrictions on goods, and also local customs payments which may be required in order for the shipment to clear upon arrival. There are various options when exporting goods to Turkey in terms of modes of transports and ports. The most frequently used port for air freight is Istanbul, whilst there are many options for sea freight, including Mersin, Ambarli, Gebze, Haydarpasa, Istanbul and Evyap. Sea freight shipping to Turkey can take between 10 and 20 days depending on your destination port (Istanbul is about 9 days, whereas as far round as Ismir takes up to 19 days). Your choice of destination port in Turkey will depend upon a few factors including where vessels from your chosen departure port in the UK call at, and where the final destination of the goods is in Turkey (it is a very large country!). There are several departures from various airports in the UK to Turkey daily. Air freight itself takes a matter of hours, but you’ll need to factor in loading, unloading and customs clearance times, depending upon the nature of the goods this could be a couple of days. Before you’ve bought your goods in Turkey, it is recommended that you discuss your shipping requirements with a freight forwarder. This is so that you can get a good idea of how much the shipping will be, whether there is UK import VAT & Duty to pay upon arrival, and whether there are any quirks with importing or shipping those particular goods (for example documentation or certificates). It is also a good idea to discuss international terms of buying with your freight forwarder if you are not familiar with them. If you buy your goods where you need to arrange the international shipping from Turkey to the UK we can take that task off your hands and handle the whole process. Ideally, it is best if your seller of the goods can at least arrange the delivery of your goods to the port in Turkey, however as we have a very competent freight forwarder in Turkey, we could arrange this if necessary. Once your goods have arrived at the port in Turkey we can book them onto the next sailing (or flight if you choose to go via air freight). The transit time for sea freight to the UK is between 9 and 19 days depending upon the departure port. The most common imports from Turkey into the UK are textiles including clothing and carpets. We regularly arrange the UK import of carpets and handmade rugs, so are well versed in the import requirements here in the UK and deal directly with the major ports for clearance. We handle a great deal of customs clearance in the UK and as such we also have good relationships with hauliers who cover the whole of the UK, so we can call on them once your shipment is ready to be delivered. If you would prefer, you can collect the goods yourself from the UK port. Our import service from Turkey can include all aspects, or just some. 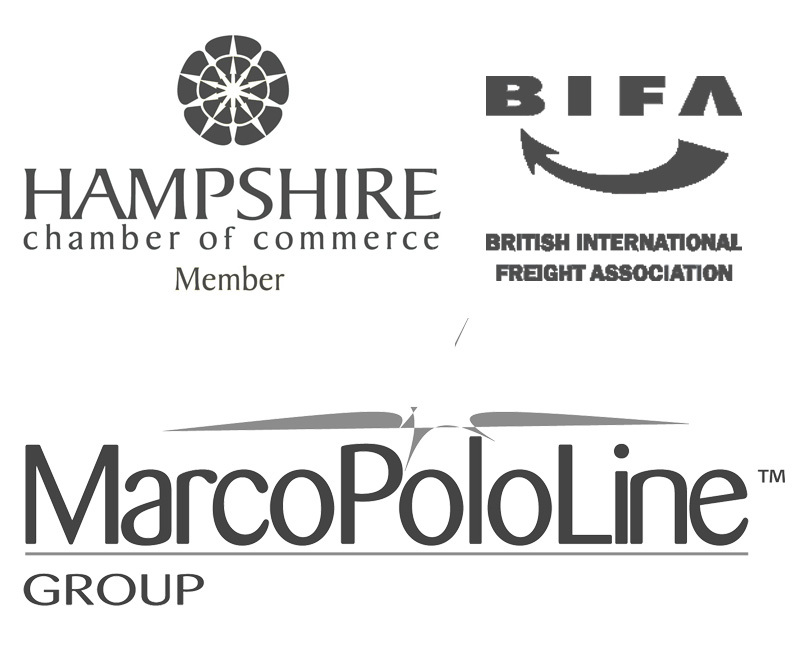 For example we have lots of customers who buy on a CIF (cost including freight) basis, and we simply arrange for the UK customs and delivery once it has arrived in the UK. FOB (free on board) is also very popular, in this situation we would arrange the international freight element, customs clearance and delivery on your behalf.